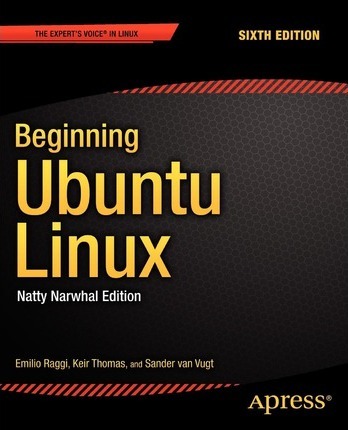 This sixth edition of Beginning Ubuntu Linux introduces all of us-newbies, power users and system administrators-to the Natty Narwhal Ubuntu release. Based on the bestselling fifth edition, this edition introduces the new Unity interface while not neglecting the finely-tuned administration techniques for new users present in previous editions. Whether you aim to use it in the home or in the office, you'll be introduced to the complete world of Ubuntu Linux, from simple word processing to using cloud services. You'll learn how to control the Ubuntu system which you just installed as you are guided through common tasks, such as configuring the system's graphical user interface, listening to audio CDs and MP3s, producing documents, using VoIP and chat, and of course, general system maintenance. Emilio also introduces the improved software center and Ubuntu's multitouch capabilities. This book supplies a series of comprehensive tutorials on Ubuntu administration and security-essential for any Ubuntu user-while not neglecting matters pertaining to office applications and the Cloud. Illustrations note XXVIII, 656 p.
Emilio Raggi lives in Buenos Aires, Argentina, and works in one of the biggest companies in the country. He was very much a Windows fanboy, until one day, he had to manage a Ubuntu desktop deployment. He was highly qualified as a Microsoft implementer, holding certificates as an MCP and MCSE, and worked as a consultant for a Microsoft partner. Still, Ubuntu had its charms and won him over. He is also an avid student of philosophy.